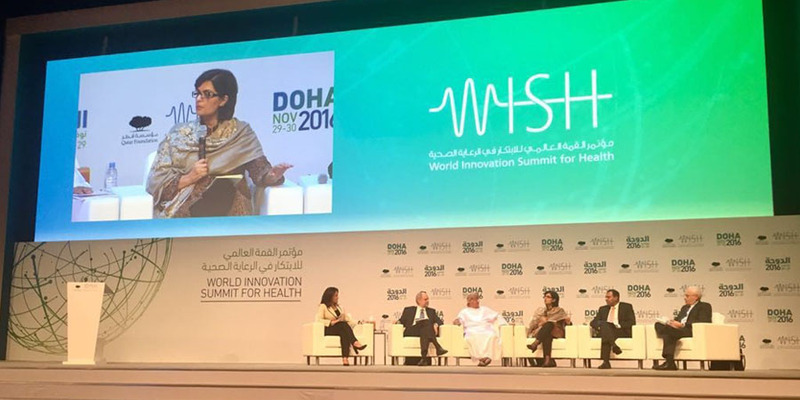 November 30, 2016: The 2016 World Innovation Summit for Health (WISH) was held in Doha from November 29 to 30, 2016. The invitation only event was attended by experts from all around the world. The conference is now recognised as a major international event in global health. Dr. Sania Nishtar participated in the conference as a panellist in the plenary session “Global Diffusion of Healthcare Innovation”. The Panel was moderated by Mishal Husain. H.E. Minister of Health of Oman, Dr Ahmed Mohammed Obaid Al Saidi, was also one of the panelists. 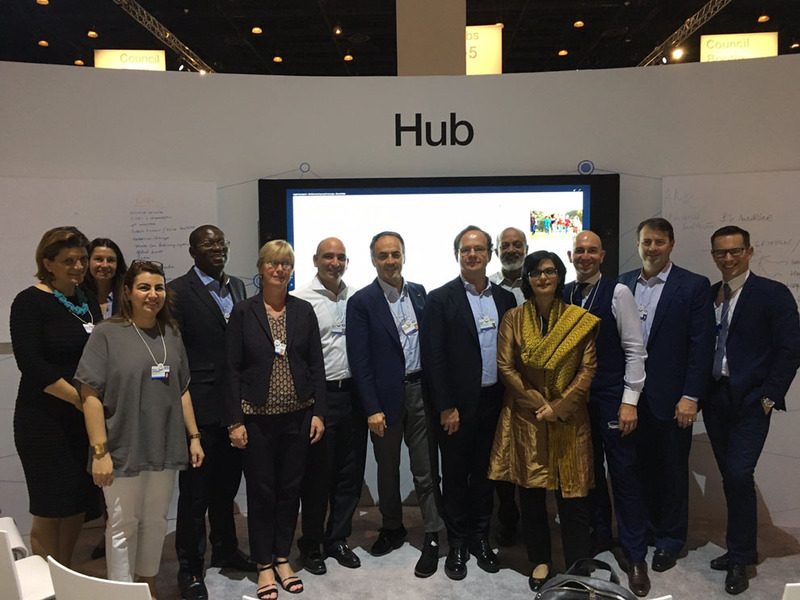 November 15, 2016: The World Economic Forum’s Network of Global Future Councils—the world’s foremost interdisciplinary knowledge network dedicated to promoting innovative thinking on the future—met in Dubai on November 13-14, 2016. This initiative comprises 35 Councils, which focus on challenges that are global in nature. The Future of Health and Healthcare is one of the Future Councils and is co-chaired by Dr. Sania Nishtar, along with Dr. Andre Goy, a celebrated US based oncologist. Both the co-chairs convened a meeting of their council in Madinat Jumeriah conference center over the two days and chalked a plan for the way forward. November 25, 2016: The 9th Global Conference on health promotion was held in Shanghai from November 21-24. Dr. Sania Nishtar, was part of the Pakistan delegation to this invitation-only meeting. Along with the Minister of Health of Pakistan, H.E. 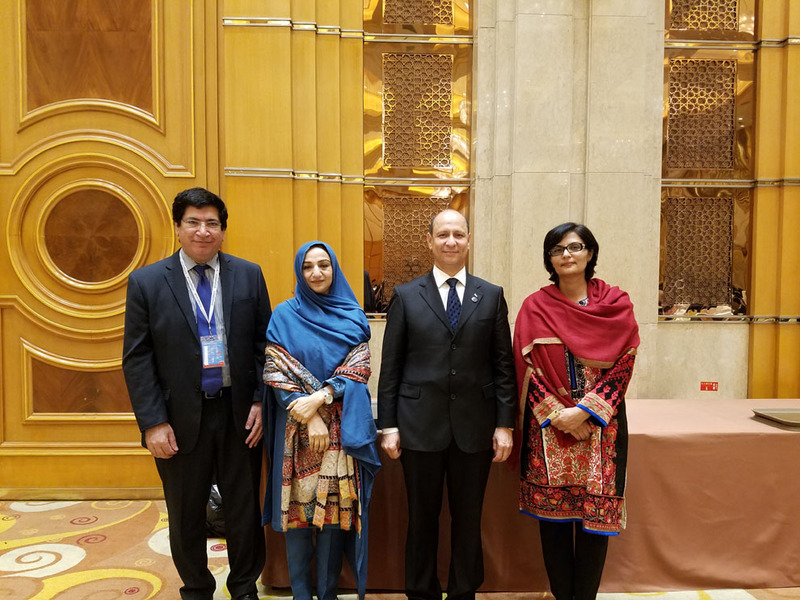 Saira Afzal Tarar, Dr. Nishtar held several meetings on the margins of the conference to create awareness about her candidature for Director-General of the World Health Organization. November 14, 2016: The World Economic Forum’s Network of Global Future Councils—the world’s foremost interdisciplinary knowledge network dedicated to promoting innovative thinking on the future—met in Dubai on November 13-14, 2016. 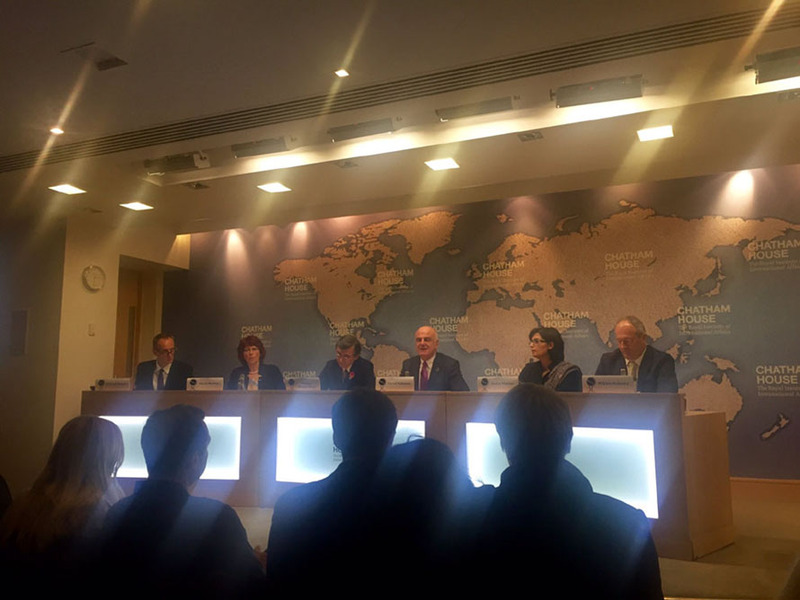 This initiative comprises 35 Councils, which focus on challenges that are global in nature. The Future of Health and Healthcare is one of the Future Councils and is co-chaired by Dr. Sania Nishtar, along with Dr. Andre Goy, a celebrated US based oncologist. Both the co-chairs convened a meeting of their council in Madinat Jumeriah conference centre over the two days and chalked a plan for the way forward. 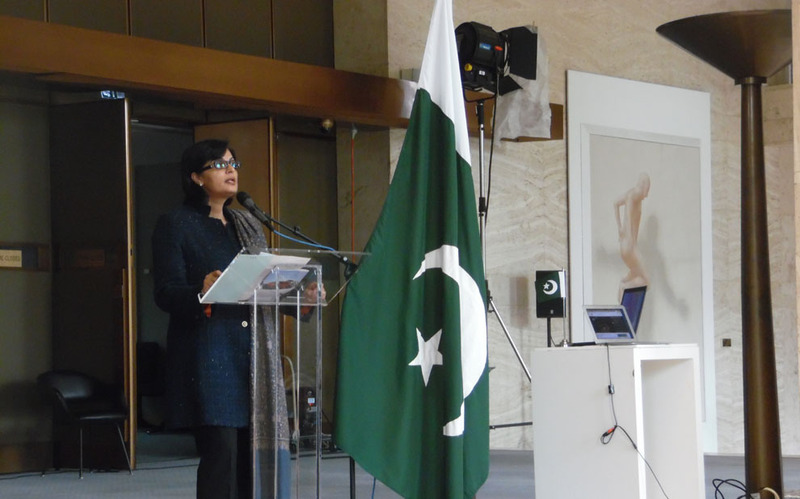 November 1, 2016: Sania Nishtar was the keynote speaker at the United Nations Women’s guild morning event at the Palais de Nations in Geneva held on November 1, 2016. The event was hosted by Ambassador Tehmina Janjua, Pakistan’s Permanent Representative in Geneva. 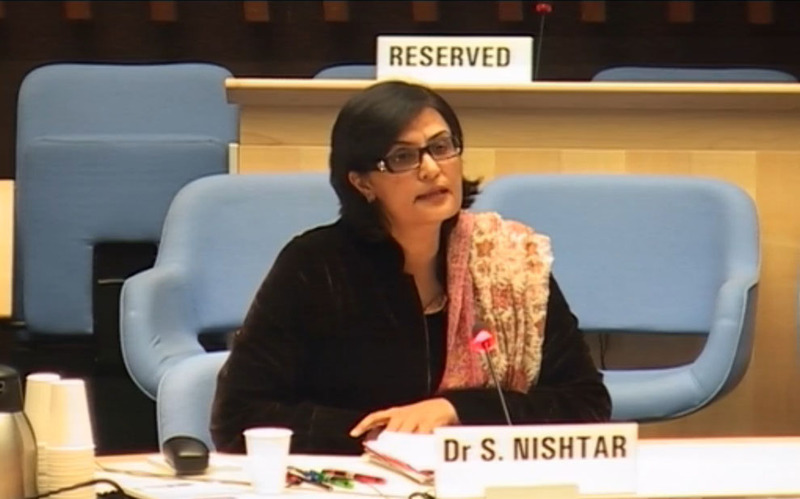 Dr. Nishtar spoke about the role of women in Pakistan and the importance of women’s empowerment more broadly. 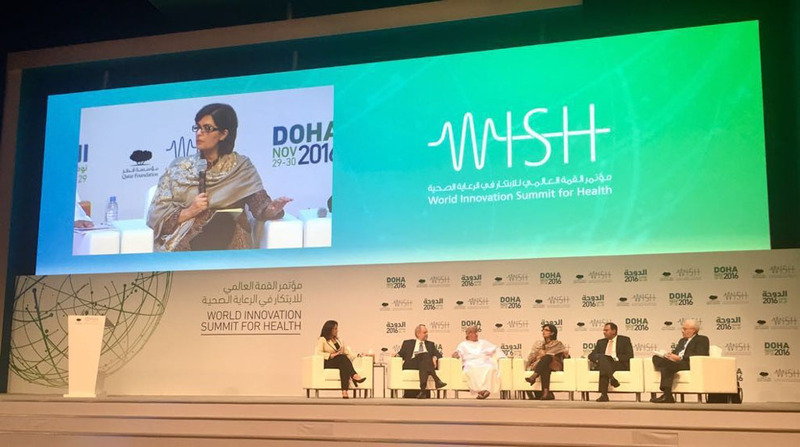 On October 13, 2016, Dr. Sania Nishtar attended the 80thGulf Cooperation Council (GCC) Health Ministers meeting in Riyadh to present her candidature for Director-General of the World Health Organization. She also discussed matters of global health with six ministers of health from the GCC region. October 13, 2016: Pakistan Embassy in Manila hosted a breakfast event on the occasion of the WHO Western-Pacific Region (WPRO), Regional Committee meeting on October 12, 2016 to promote the candidature of Dr. Sania Nishtar for WHO Director-General. The event was well attended by a large number of ministers from the WPRO region and especially from the pacific region. Dr. Sania also attended the WPRO Regional Committee meeting and held bilateral meetings with a number of ministers and visiting delegations. October 6, 2016: Pakistan’s Minister of Health H.E. 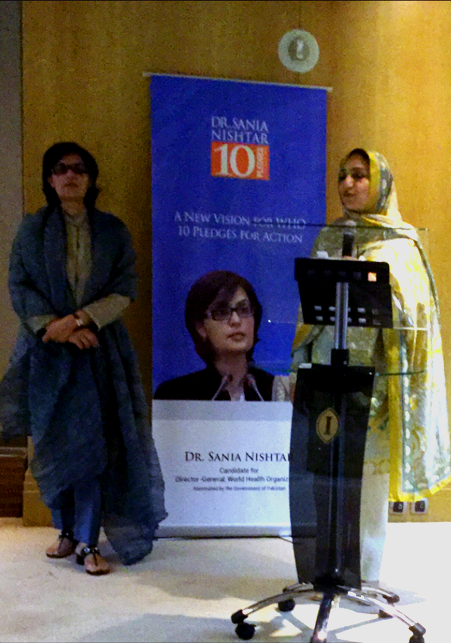 Saira Afzal Tarar hosted a reception on the occasion of the WHO Eastern Mediterranean Region (EMRO) Regional Committee meeting in Cairo on October 4, 2016, aimed at promoting the candidature of Dr. Sania Nishtar for WHO Director-General. Dr Sania also attended the EMRO Regional Committee meeting and held bilateral meetings with a number of ministers and visiting delegations. 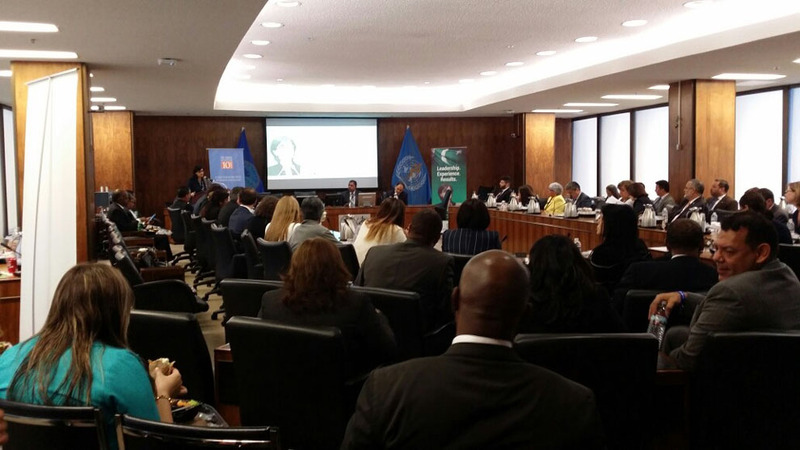 September 28, 2016: Dr. Sania Nishtar attended theWHO PAHO Regional Committee meeting fromSeptember 24-28 in Washington to create awareness about her candidacy for WHO Director-General. 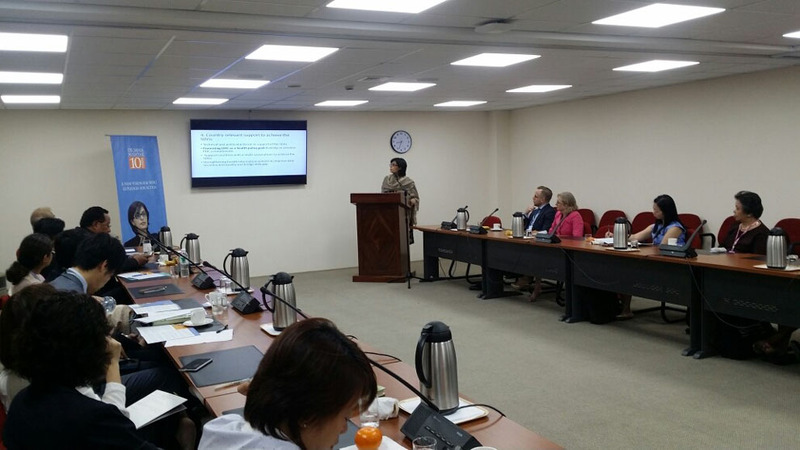 She also met a number of ministers of health from the WHO Americas region and members of visiting delegations from countries and apprised them about her candidacy. On the margins of the meeting, the Pakistan Embassy in Washington hosted a lunch event where Dr Sania Nishtar presentedher vision for WHO and the 10 Pledges for Action. The event was very well attended by minsters and senior leaders.